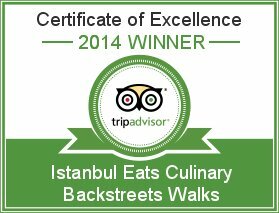 Our “Culinary Secrets of the Old City” walk takes you beyond the major monuments and into the backstreets where all of the serious eating is done. 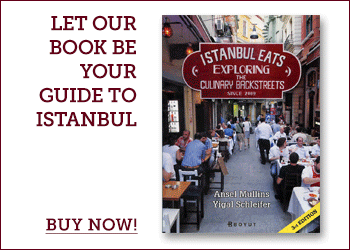 We set off through the atmospheric, lesser-explored market streets around the Egyptian Spice Market and deeper into the untouristed Fatih neighborhood. In Kantarcılar, a district that has been selling weights and measures since Ottoman times, we visit a local confectionary where Turkish delight has been made and sold for four generations. From there we visit an all-but-abandoned caravanserai, a couple of hidden historical sites, an old-school pudding shop, an Ottoman-era bozacı and, finally, a full lunch of traditional pit-roasted lamb in a very local, family-run place next to the Byzantine aqueduct (with lots of other edible treats along the way). These are the city’s quintessential culinary backstreets. Still have questions? 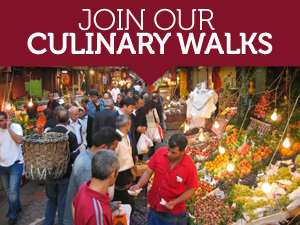 Contact us at walks@culinarybackstreets.com.